For the longest time, Africans have viewed African fashion as expensive or not cool enough. Most Africans prefer to wear all the Prada, and other non-African brands to mention but a few. What this means is that appreciation of the African print and African fabrics were on a minimum, however there is hope. Liz Madowo of Lizmadowo.co.ke , Nyawira Mumenya of CurveswithStyle.com and I decided to partner up and share different style perceptions of contemporary African brands. We do not denounce our love for non-African brands but we want to put the limelight on African brands and designers. Contemporary fashion to me , means readily available and consumable fashion items. 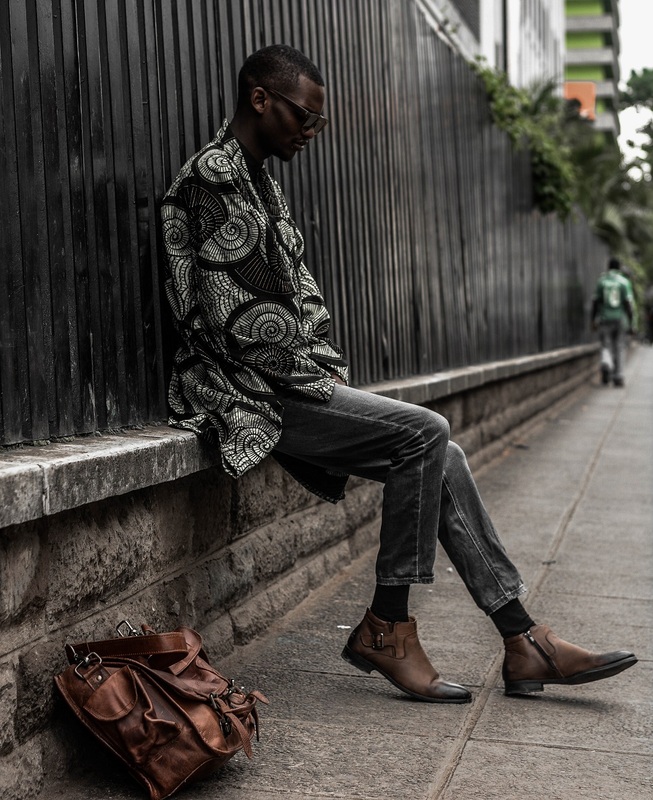 There are so many brands within Kenya and Africa that are paving the way for designers to create and explore more of the ready-to-wear fashion items. Through fashion influencers like Diana Opoti stylists as well as content creators , there has been an embrace in spearheading and creating awareness in regards to the wearability of African fashion. Brands like Cocolili , House of Tayo and Ikojn have continued to create and produce items that people would love to own and wear on a daily basis. Consider this, part of the follow up process that I talked about in the previous post about bloggers coming together to help put Kenya and Africa on the map. African brands from the different regions of the continent , continue to shape the conception of fashion through their unique designs and perceptions of African style and fashion. The sheer diversity in body types within the African continent provides motivation to play around with different silhouettes, prints and fabrics. Through this collaboration we aspire to change the perceptions of African fashion and increase awareness on the different brands that are out there. I secretly call it the F-M-L movement. Yeap! For this post we wear items from Wangari Mathenge that is a brain child of Akisa Mathenge. Her brand is purely about boho chic vibes with heavy infusion of African prints and silhouettes. I especially love her pieces because of the sheer uniqueness yet deliberate distinction from other brands out there. Her items are especially popular because of the versatility in design and functionality. Be on the lookout for the next post where I wear another outfit by Akisa Mathenge who is a young designer based in Nairobi. Subscribe to new post updates. To order your Wangari Mathenge pieces.